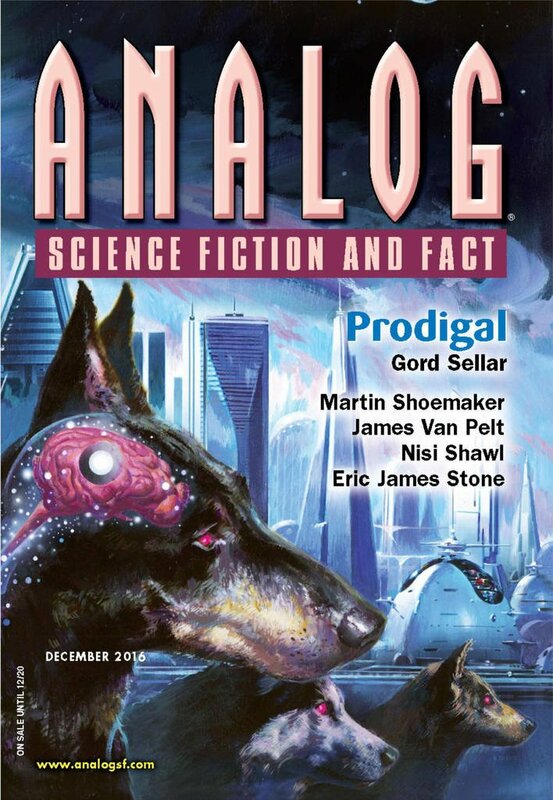 "Fermi Meets Sagan," by Robert Scherrer [bio] (edited by Trevor Quachri), appeared in Analog Science Fiction and Fact issue 12|16, published on October 27, 2016 by Penny Publications. Pro: It's a cute idea that the paranoid Xarl are so sure no one would be stupid enough to give directions to their home planet that they conclude it's a trap and order everyone to stay away. Con: The ending (entirely narrated) falls flat. I get the Fermi (the paradox that says if there's so much space where is everybody) but what's the Sagan? Carl Sagan was involved in sending messages into space.